1. The name of the organisation will be ?The Socialist Network? 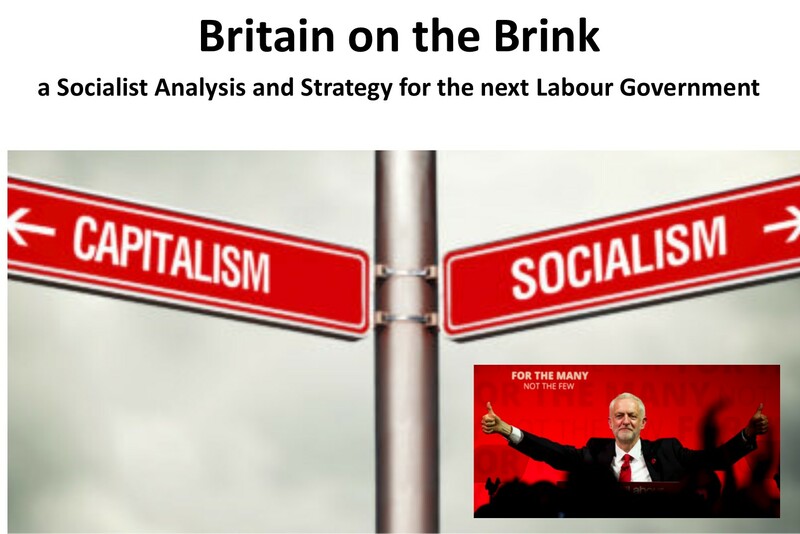 a) The nationalisation under democratic control of the banks and the big companies that dominate the economy in order to make possible the rational planning of the economy. Under this general planning smaller enterprises and businesses will continue to function under private ownership subject to basic protection of the workers. b) That the bourgeois state repressive apparatus should be dismantled and democratic control by the people should be extended to all spheres of social interaction. To achieve these changes, the wide support of the working class and other oppressed groups is needed in order to gain political power and be able to defend it. Winning such support to the need for socialist transformation is the most important task of the Network. 4. Membership is open to everyone who agrees with the basic principles of the Association, abides by its rules and pays membership fees. Groups or Individuals should be actively involved in the struggles and political activity of the working class and other oppressed groups. 5. The Network is not a substitute for and does not work in opposition to the broad organisations of the working class. On the contrary, it participates in their struggle and strives for the widest possible unity of working class organisations. It is only through them that socialist ideas can become a mass force that can change society. The Network does not hide its ideas and does not refrain from criticism of any leadership or policy of the working class organisations which it considers wrong or inadequate. While remaining loyal to the common cause and displaying solidarity in the common struggle, it fights for the change of wrong policies and the replacement of inadequate leaderships where it considers that to be necessary. 6. The Network is not an organisation that imposes bureaucratic discipline on its members. Free expression of ideas is unconditional. 7. The Network provides ideas, discussion and help but does not issue commands to its Groups and Individual members, which retain their independent existence and the right to act in accordance to their own decisions. 8. The work of the Network is coordinated by an International Coordinating Committee. The ICC is not a political leadership in the traditional sense. Its task is to implement procedures and coordinate activities in the most efficient way possible, compatible with the independent existence of its members. 9. Functional bodies and functionaries (editorial boards, editors, treasurers etc.) will also be elected or appointed in order to carry out practical tasks. 10. The Network will hold regular conferences and public meetings and events to develop the discussion on how to advance towards socialism and decide upon policies and activities. 11. 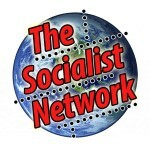 The Socialist Network has no interests separate and apart from those of the working class as a whole. Powers: The Network?s Conference is the overriding authority of the Network. Its decisions are binding on the Co-ordinating Committee. It must decide the policy and overall operation of the Network, elect its Office bearers, approve its Reports and control all constitutional matters. Office bearers: The Conference will elect a Co-ordinator, Treasurer, Membership Officer and a paid Web Editor. The Conference will also elect other Office bearers that it deems necessary. Timetable: The Conference will normally be held every year at a venue decided by the preceding Conference or failing that by the Co-ordinating Committee. The date of each Conference will be notified on the Internal Forum at least three months in advance of the Conference and a call made for receipt of motions, constitutional amendments and nominations to be received six weeks later. An Agenda for each Conference will then be notified on the Internal Forum at least six weeks in advance of the Conference. This Agenda will include all resolutions, constitutional amendments, nominations and Office bearers? Reports. Decisions: All individual members and members of groups are allowed to attend and vote at conferences, attendance can be in reality or via internet. As the association expands a delegate system should be introduced for conferences. Unless otherwise stated in the constitution all decisions are reached by a simple majority. Every effort should be made to achieve consensus in voting. Where consensus cannot be reached the feelings of the various Groups should be taken into consideration. Individual: Anyone who generally subscribes to our Objects, Aims and Manifesto, and accepts our Constitution and Code of Conduct is entitled to apply for membership. Their application must be approved by the Co-ordinating Committee. Individual members living in the richer countries must pay a minimum of ?20 (or equivalent in another currency) per year to the Network?s central account. Those living in the developing countries must pay a regular amount that they can afford. Group Membership: Any Group which generally subscribes to our Objects, Aims and Manifesto, and accepts our Constitution and Code of Conduct is entitled to apply for membership. Their application must be approved by the Co-ordinating Committee and confirmed by following Conference. Where there already exists a Group in the same country, the Co-ordinating Committee will inform that Group (or Groups if there are more than one) of the application and ask for comment which it will take fully into account when deciding whether to approve the application. Groups will agree an appropriate annual affiliation fee with the Co-ordinating Committee. Any Member or Officer of the Network may resign their membership. However, Office bearers doing so should inform the Co-ordinating Committee in writing. Committee Membership: This will consist of the Office bearers elected at Conference. In addition, each Group is entitled to two representatives on the Co-ordinating Committee. Committee Quorum: Meetings can only take place when a minimum of three members are present. One of these three must be an Officer. Committee Meetings: These must be held at least every two months and are open to any member who wishes to attend and speak although voting will be Committee members only. Committee meetings can be held in person or online as the Committee decides. Notice of each meeting must be circulated on the Network?s Internal Forum and sent out seven days in advance. Voting at Committee meetings shall be by simple majority. Where voting on any issue is equal the Chairperson is entitled to decide the outcome. Sub-Committees or Working Groups: The Committee has the power to set up Sub-committees or Working Groups as deemed necessary which shall be accountable to the Committee and Conference. Individual Members also have the right to form Working Groups with the aim to conduct specialist research, discussion and work. Transparency: Minutes of each Co-ordinating Committee will be recorded and sent out on the Internal Forum within a month of the meeting. All members of the Network are bound by a Code of Conduct the terms of which are agreed by Conference. This Code governs the way that members debate with each other and treat each other. Members who break this Code can be suspended by the Co-ordinating Committee but will have the right to appeal against suspension to the subsequent Conference. The conference can choose to transform the suspension into an expulsion. This Constitution can only be amended by a two-thirds majority vote at Conference. The Network can only be dissolved by decision of 75% of the membership either by Conference vote or by referendum. The assets of the organisation should be divided equally among the members or, if there is unanimous agreement, given to labour movement activities or organisations specifically agreed by the Conference or by referendum. Agreed at the Istanbul Conference 24-26th August 2012 and amended at Bratislava Oct 2014. You have narrowed the focus of your group to transforming society by democratically nationalizing an entire society’s (or the world’s) resources. Most voters, however, don’t seem to favor socialism, even those who have the greatest interest in this kind of social change. Is this because they are uninformed, misinformed, or because they don’t want it, or because they don’t believe it is realistic? 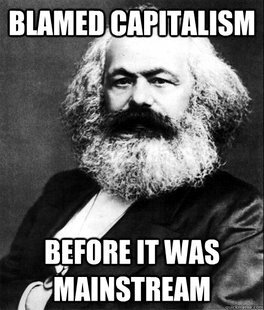 Why not educate people and prove it is realistic by forming socialist communities? It may not be for everyone, and that’s ok – as long as people have options they can vote with their feet. Also, you should base membership dues on income, not on country of residence. There are poor people in rich countries and rich people in poor countries. Hi Edwin, apologies for the long delay in responding to your comment. It kind of got overlooked during the long hot summer here in where I am based in Southern Turkey. On your last point, our membership dues are in fat based on income not country as we are aware as you are that there are poor people in rich countries and rich people in poor countries. On the first point you make, personally I don’t use the term “nationalisation” any more as it smacks too much of the top-down, bureaucratic, state capitalist form of public ownership implemented in the Soviet Bloc and by social democratic governments in the the rest of the world. Nor do we advocate the taking into democratic public ownership “an entire society’s (or the world’s) resources.” Rather we advocate the democratic public ownership of the key companies and industries that currently dominate the economy within which a co-operative and small business sector would flourish. As to this being a world solution, I think that would be getting a bit far ahead of ourselves. The current stage of world history requires the peoples of different nations to take the key resources into their hands and for the nations to co-operate together to develop production in a sustainable way. Of course, it would then be entirely logical for conintents and regions to increasingly band together as indeed they are already starting to do under capitalism but with some difficulty due to the undemocratic, competitive and destructive nature of the system. Also, we would want to see the increasing introduction of global standards that would lift living standards and end the exploitation of women, child labour, pollution and so on. This would a positive form of globalisation rather than the ‘race to the bottom’ that we see in the capitalist version. On the question of why people are not favouring socialism, I think it is clear that the versions of socialism that they have seen in the past have failed to deliver and for this reason there is great scepticism in the Left’s political project. However, if we are willing and able to come up with a genuinely democratic version of socialism that is based on a credible democratic plan for the running of society then I am confident that the majority of humanity will support it. On the idea of socialist communities, it all depends on how you intend to create them. If they are to end up by being hippie-like socialist communes within a surrounding sea of hostile capitalism, I don’t think they can work. Such an idea is as old as the hills and has failed many times, from the early Christians, through to Robert Owens’s model villages in the 1830s and the Kibbutz in Israel in the 1950-70s period. How do you decide when enough time has been taken in the effort to reach consensus? How do you determine whether or not the feelings of the various groups have been properly taken into consideration? In my experience, if you leave such questions unresolved, unexplained, or in other words, un-codified, then in practice, they will be resolved informally, and in a way that is not transparent. So your answer is that everyone should have good intentions and hope for the best, and if things don’t work out for you, you can can always go do your own thing. It seems to me that democracy works better when people agree to play by a set of rules that they agree on ahead of time. I’ve noticed a lot of left groups are not interested in organizational theory or parliamentary procedure. When the rules of engagement are not agreed upon ahead of time, it leads to a lot of unnecessary fights, in my opinion. If you were playing a game of basketball, would you not want to have some agreement with the other team as to the rules, before you started the game? When you do not have written rules, there tend to develop unwritten rules. Unwritten rules can be very tricky to navigate. We do have written rules. The as can be read above. I think the most important one, which also differentiates us from most left-wing groups, is the unconditional right to express your opinion and organise support for it. We would be glad to get suggestions of how to improve the rules. I would be glad to offer you suggestions to improve your rules, but you lost me by waiting a year to respond to my question. Hi Doug, My apologies but there was a long period where our comments section was not working properly so we missed some of them. If you do have a suggestion to make on our rules I would appeal to you to let us have it. Sorry about that! I am not so good at navigating around here. 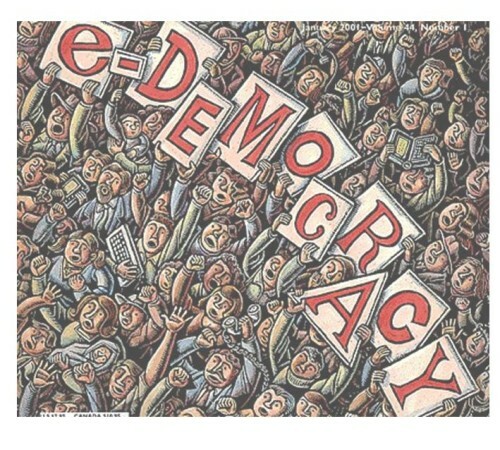 I agree that in the spirit of democracy consensus should always be aimed for. There should be as much discussion and free flow of information as is reasonably possible before making decisions. Unfortunately, practical considerations come into play. Here in the USA, Robert’s Rules of Order is the conventional authority on how to run a meeting. According to Robert’s Rules, the threshold for making most day to day decisions is a simple majority. The threshold for ending discussion, before making a decision, is higher. A two thirds vote is required to end debate under Robert’s Rules. In other words, if more than one third of the members want to keep talking, or keep listening, the discussion can be kept going. The purpose of this rule is to guarantee the full airing of minority opinions, while at the same time ensuring that discussions don’t last forever. The assumption is that anyone can keep talking on a given subject, as long as 1/3 of the membership are willing to keep listening. It’s a way to end discussion before everyone loses patience, or falls asleep. If you don’t have a practical rule like this, there is really no way to democratically decide when enough time and effort has been given to the effort to reach agreement. Good point. I am in favour of introducing the simple majority and 1/3 rule at our next conference. Thanks for the suggestion. Although, just to be clear. Ending the debate means ending it at a particular meeting. There should be no restrictions on continuing the discussion by other means or at other meetings. This document deals with the question of how socialists should relate to the mass organisations of working people. It argues that socialists need to be active wherever working people are. forecast the shift to the left that has now taken place in the British Labour Party. ... The pamphlet was agreed by an international meeting of the Socialist Network and is now in its second edition.